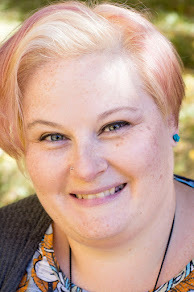 There is a new app only at Walmart and is available on GooglePlay or the AppStore. Super Heroes Assemble lets you keep up to date with the latest teasers and content from the upcoming movie. Once downloaded, open the app and click on DISCOVER. Choose a character and then search for that signage in store. Once you scan it the secret content will be unlocked! 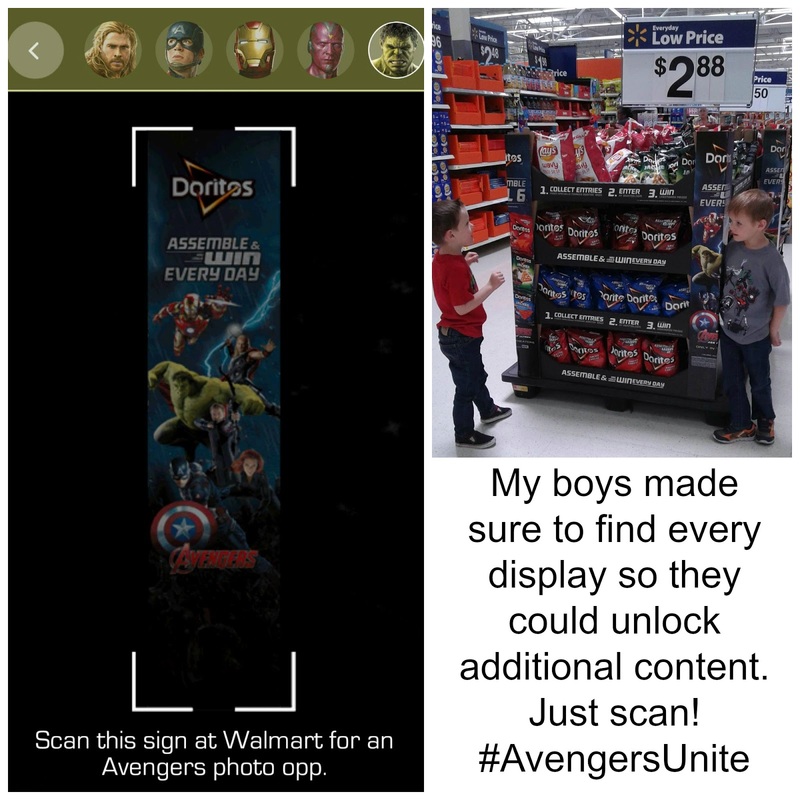 Each scan unlocks different content so make sure to find all the Avengers displays and items at your local Walmart store. 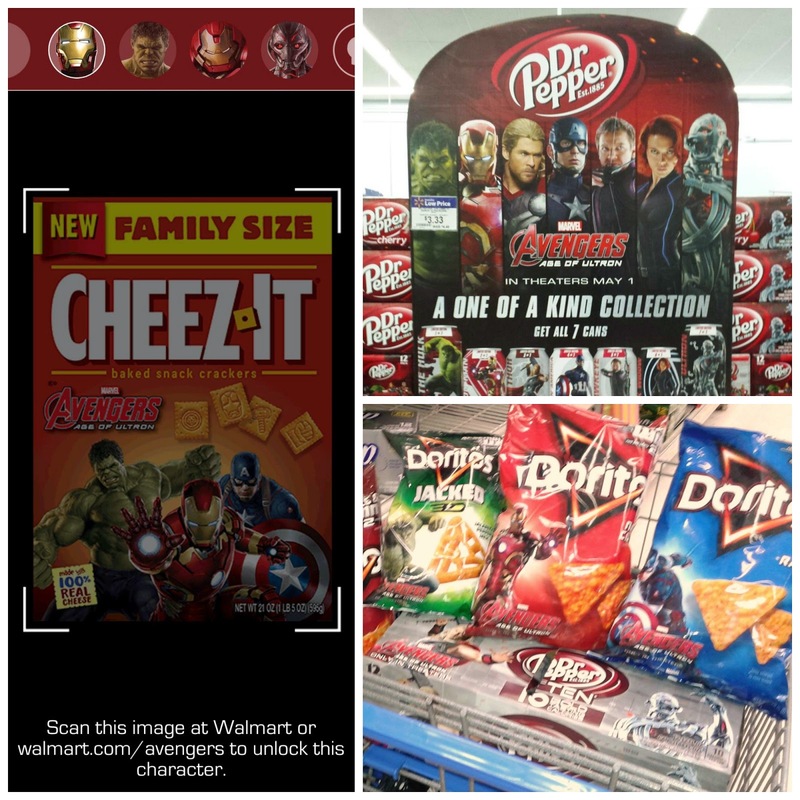 You can even scan specially marked The Avengers food products like Dr. Pepper, Doritos, Kellogg's Fruit Snacks and Cheez-It baked snack crackers. I am lucky because my boys like to shop. Well, they like to shop for themselves. 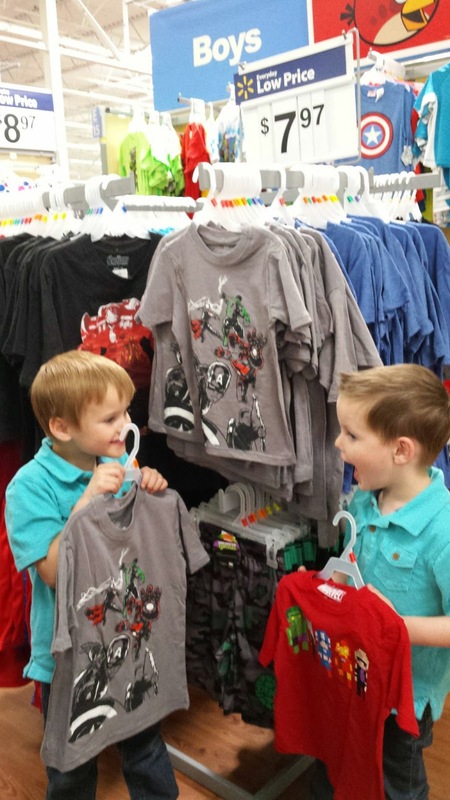 They were excited to find new shirts. At under $8, I was happy to spoil them. We also always have to check out the toy department before we leave. I must have been in a very good mood because they also got some new toys on this trip. 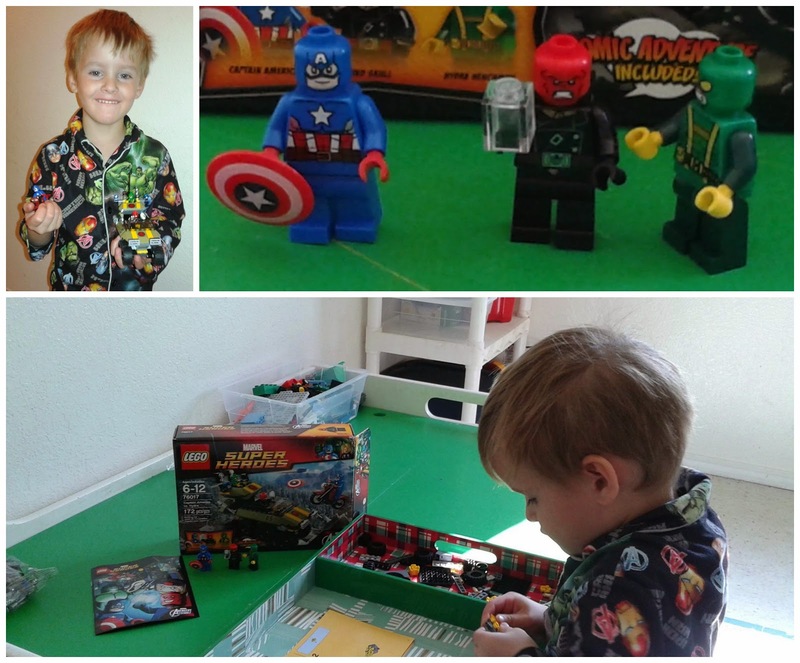 We didn't get home until late that night and I was too tired to handle any Lego building. However Sam woke up the next morning determined to build his new set without any help. I love how he can focus and follow directions. Look how proud he is! We are obviously excited for the new movie. Are you planning to see it when it is released? 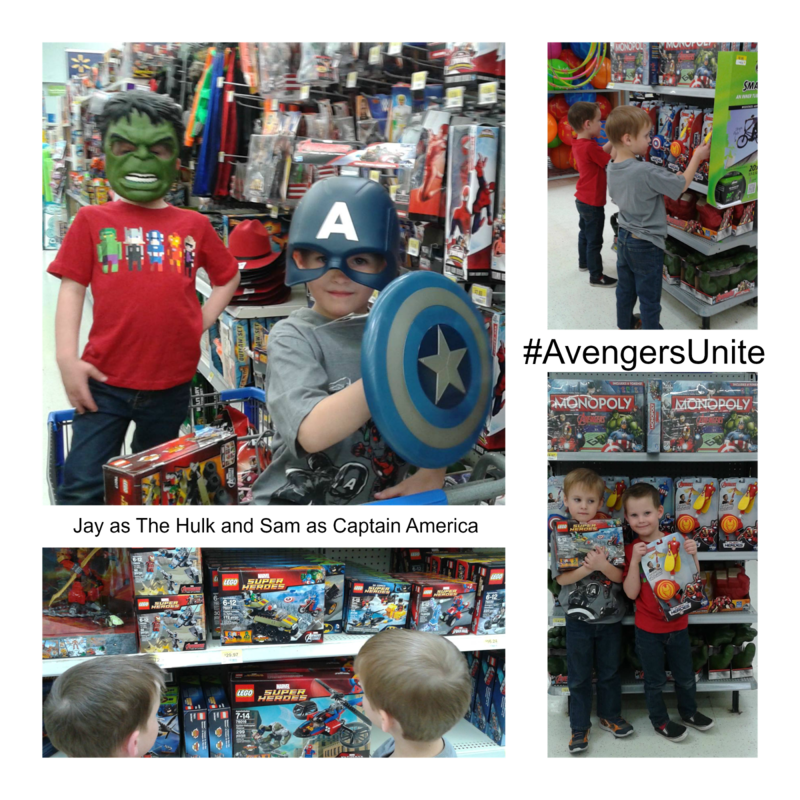 My boys change their mind frequently but right now, Jay loves Iron Man and Sam thinks Captain America is pretty cool. Which Avenger is your favorite?